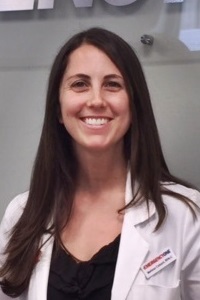 Ms. Colsant graduated from St. John’s University as a Physician Assistant in 2005. Previously, she received her Bachelor’s degree in Psychology from Fordham University in 2002. Melissa’s experience includes working emergency medicine at North Central Bronx and Greenwich Hospital. She has traveled the world as a military spouse, spending time in Japan, San Diego and Newport, Rhode Island. Recently, Melissa returned to her roots in New York where she has settled in West Point region. In her spare time, she enjoys the great outdoors and exploring nature in the Hudson Valley with her husband and four children.